Film is a huge part of my life. I can not seem to prevent myself from introducing it into a conversation with everyone I meet. Once in a while I run into someone whose taste in film so violently opposes my own I want to glove slap them. I do try my best to be open-minded and can usually find some common ground. 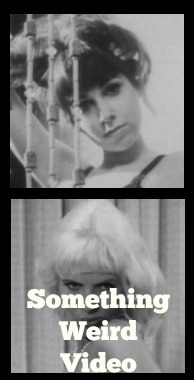 It surprises me a little that so few people I discuss film with know directors by name. The underappreciated director does not generally make the tabloids and I guess in turn doesn’t make many people’s radars. Personally, I am all about the director as I suspect many a cinephile is. I follow director’s work fervently. If I loved one of the director’s films, it is a guarantee I will see another; those who score a hat trick will have a fan for life! So in honour of the director I give you my 50 favourite! I thought for this project I would mix it up a bit, so I will be counting down my 50 Favourite directors from ALL GENRES! I will be posting these lists in groups of five a couple times a week. British director Roy Ward Baker has a list of 33 feature length films on IMDB. Baker made his last full length feature film, Monster Club in 1981 and directed a number of TV shows before retiring from the industry in 1992. He died at the age of 93 October 5, 2010 in London England. 93!! Holy crap! That is a ripe old age! 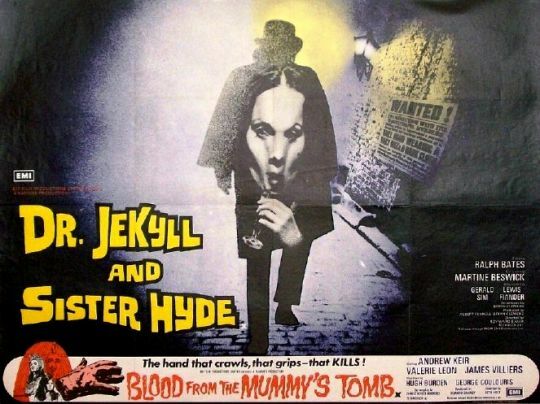 Baker makes this list thanks to his director status on 3 of my favourite Hammer Studio films Quatermass and the Pit, The Vampire Lovers and Dr Jekyll & Sister Hyde. All three are films to which I gave a perfect score. But just look at that list of films! What great fun! Okay, A Night to Remember can’t really be considered “great fun”. A Night to Remember is about the Titanic disaster without the cheesy love story; not to mention a solid film. Baker is a superb filmmaker who brought excitement to the screen and knew how to get the best from his cast. There are a number of Baker’s films I have yet to see, although some of the subject matters are not of particular interest to me, there is still room for exploration. Danish director Carl Theodor Dreyer’s made just 14 full length feature films in his career. I have seen 6 of the 14 and gave The Passion of Joan of Arc and Day of Wrath a perfect score and the other four films a 4/5! A pretty bloody impressive track record! 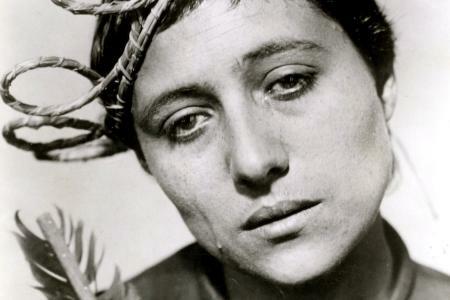 Seriously, The Passion of Joan of Arc is one of the best films I have seen. A wrought with emotion character study that must be experienced. All of Dreyer’s films have a certain surreal vibe even those with a fairly straight up narrative. Dreyer died at the age of 79 March 20, 1968. I look forward to checking out the other films on his list, if they are half as good as The Passion of Joan of Arc they will still be very watchable! 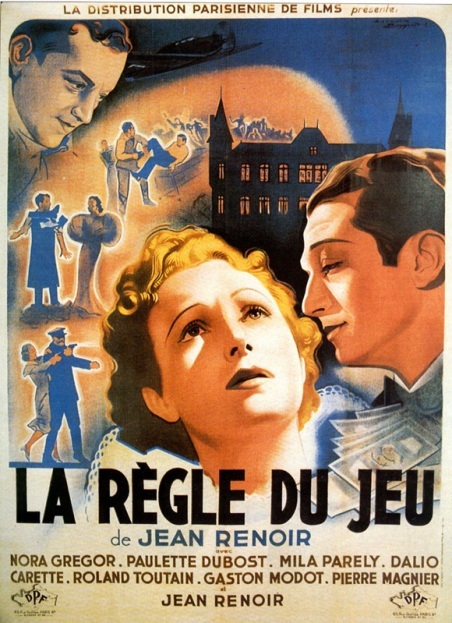 French director Jean Renoir has 32 full length feature films listed on IMDB. I have seen a miniscule six of these, but bloody hell what a magnificent sextet they are! 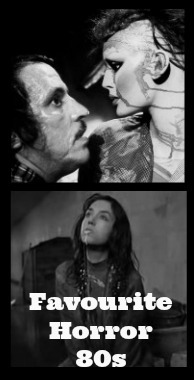 I must admit, I only seen my first Renoir film 4 years ago. I was picking up a Jean Cocteau DVD from the library and got in a conversation about foreign films with the guy behind the counter. Turns out Renoir is one of his favourite directors and he actually seemed disgusted that I had never seen a film from the director. He insisted I rented The Rules of the Game, claiming it was one of the greatest satires ever made. I don’t usually allow myself to be muscled by men working at the library, but I appreciated his passion. WOW! He wasn’t kidding; The Rules of the Game is simply perfect. I loved all six of Renoir’s flicks! All beautifully filmed, engrossing and character-driven studies of French society and humanity in general. Renoir died February 12, 1979 at the age of 84 and left behind an impressive legacy on celluloid. Clearly I have tons of fertile ground left to sow in Renoir’s field! German director Rainer Werner Fassbinder made 23 full length feature films and a ton of TV movies during his short career. Fassbinder died June 10, 1982 at the age of 37 of an overdose. 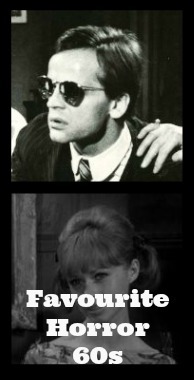 I’ve read quite a bit about Fassbinder over the years, and he seemed like a pretty complicated guy. The characters in his films seem as conflicted as he himself was. Meditations on sexuality, racism, oppression, family and the like are knitted through all his films. I have seen seven of his titles and they are all a little quirky. His films get under my skin and his characters are not always likable but are nonetheless intriguing. 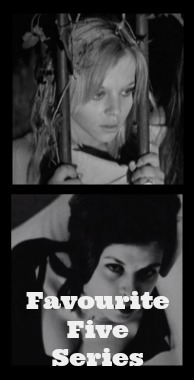 I have enjoyed all of the Fassbinder films I’ve seen but I am particularly fond of The Bitter Tears of Petra von Kant and Why Does Herr R. Run Amok? Another director who has much juiciness left for me to bite into! Jee-Woon Kim is alive! Yep, this is the first living director still making films to land on the list. I have seen every full-length feature South Korean filmmaker Jee-Woon Kim has directed and have given TWO of his films perfect marks (The Quiet Family and A Bittersweet Life). I don’t give a film 5/5 lightly my friends! 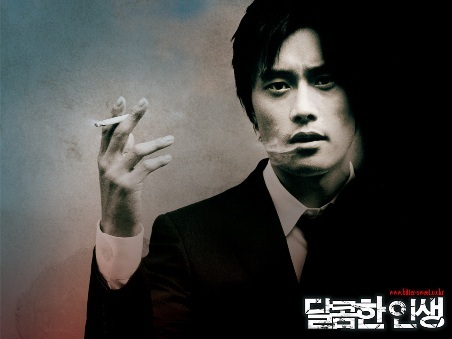 Kim’s stylish and original films range the genres but each one contains a violent element. I eagerly anticipate each one of Kim’s new projects! His next project, The Last Stand (2013) seems completely and utterly random and stars Arnold Schwarzenegger?! To be honest it is unlikely I would bother with this film if it didn’t have Kim’s name attached. A testament to how much I enjoy and respect Kim’s work.